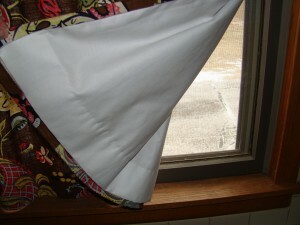 The most important reason to line drapery panels is to help your window treatments last longer. Lining keeps the gorgeous fabric you chose for your windows from fading and from being prematurely eaten by the sun. With a proper lining, the fabric on the interior of your window treatments is shielded from the harsh rays of the sun, allowing even delicate fabrics to enjoy a longer life. Another reason for lined drapery panels is privacy. Many fabrics are only somewhat private – especially at night. Adding a lining behind a semi-private fabric will boost the opacity of the treatment, ensuring that your bedroom or bathroom windows are completely private. Draperies and curtains also look better when they are lined. Lining helps thin fabrics to have a nicer drape at the window, and makes them look more substantial; no one wants wimpy window treatments. The lining also makes varied window treatments look uniform from the exterior of the home. Typically, linings are created out of white or ivory fabric. When used behind fabrics of varying colors and patterns, the lining makes all the treatments look alike from outside, creating a unified look from the street. In addition, the colors of the face (front) fabric of your drapery or curtain also appear richer when a lining is placed behind them; without a lining, the sunlight coming through the fabric can make the colors appear washed out during the daytime hours. Lining a drapery or curtain panel also offers more insulation at the window, which can help you save money in both heating and cooling expenses year round. In fact, for even better insulation at the window, thermal lining fabrics can be used on nearly any window treatment. Lining also comes in opaque (room darkening) options, which offers a chance to completely block all the light at a window. This is helpful for children’s bedrooms, media rooms or in bedrooms used by someone working the night shift who sleeps during the day. 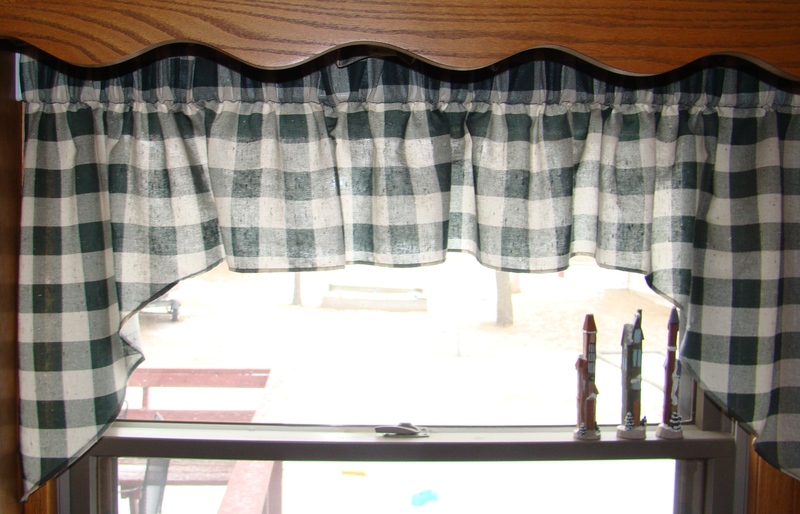 Even valances and top treatments should have a lining for best results. While privacy or light control will not be a big factor with top treatments, a lining will extend the life of the treatment and create a better-looking final product. This unlined valance appears washed out by the sunlight streaming through the fabric. The only treatment that should never be lined? Sheer draperies…for obvious reasons. One Response to Why Should I Use Lining on My Draperies & Curtains?